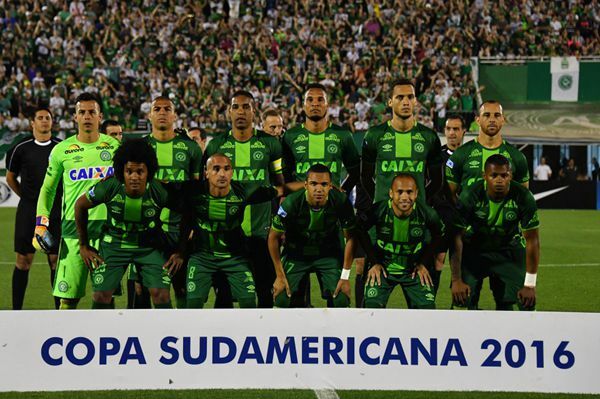 CONMEBOL awards South American cup championship to Chapecoense. Brazilian football club Chapecoense, which was virtually wiped out in a plane crash last week, was crowned winner of the South American Cup (Copa Sudamericana) on Monday. The South American Soccer Confederation (Conmebol) declared the team winner of the 2016 championship, as rival team Atletico Nacional had requested. Chapecoense's plane went down last Monday night as it was flying into Medellin, Colombia, where it was set to play Atletico in two days in a championship final match. As part of the award, the Brazilian club will receive two million U.S. dollars and a chance to compete in the 2017 Copa Libertadores de America, the Agencia Brasil news agency (EBC) said. Atletico Nacional will receive Conmebol's fair play prize, which comes with a one million U.S.-dollar cash prize. With an eye to "furthering the promotion of football in South America in a spirit of peace, understanding and justice, taking into consideration that sports values should prevail over commercial interests, the council decided to grant Atletico Nacional Club the Conmebol Centenary Fair Play Award," the regional soccer body said in a statement issued from its headquarters in Asuncion, Paraguay. A total of 71 people were killed in the crash, including some 20 sports writers who were flying with the team to cover its match. Six people survived the accident, including three football players, two members of the flight crew, and a sports reporter. Authorities are investigating the cause of the accident, and the charter flight operator, Lamia, has been grounded.